​This is a 4 year program (8 semesters). Physiotherapists are able to perform functional examinations of individuals and devise therapy of rehabilitation programs based on evaluation. Furthermore, they are physically able to execute these plans and conducting a multitude of different physical activities in a sustained repetitive manner. However, the utility of their knowledge is not limited only to therapy or rehabilitation, as it is also applicable in the area of prevention and wellness. ​Nurses holding a B.Sc. 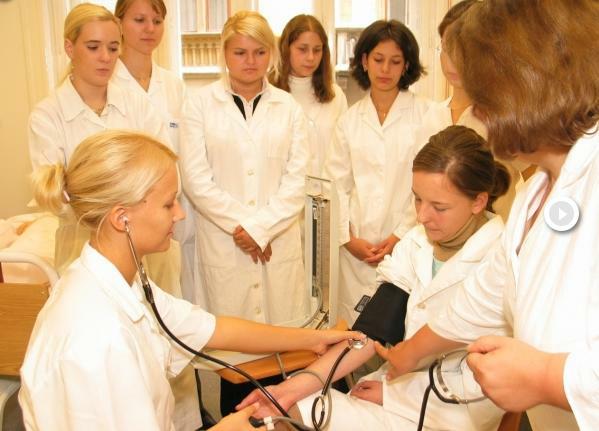 degree can organize, manage and supervise all their internal medical, surgical, obstetric-gynaecological, psychiatric, intensive nursing and primary care t asks in every area of health care. They are responsible for conducting the health-nursing activity prescribed by the physicians, and help the patient and the physician in performing certain examinations. ​In this M.Sc. program you will be able to gain multi-disciplinary skills to work in any of the national and international health systems, the mid- and higher level system of institutions of nursing. Midwives are professionals who are qualified to conduct their work in the obstetrics-gynecology areas independently and carry the attached responsibility, while cooperating with other members of the staff in perinatal monitoring, assist in deliveries and provide neonatal care.